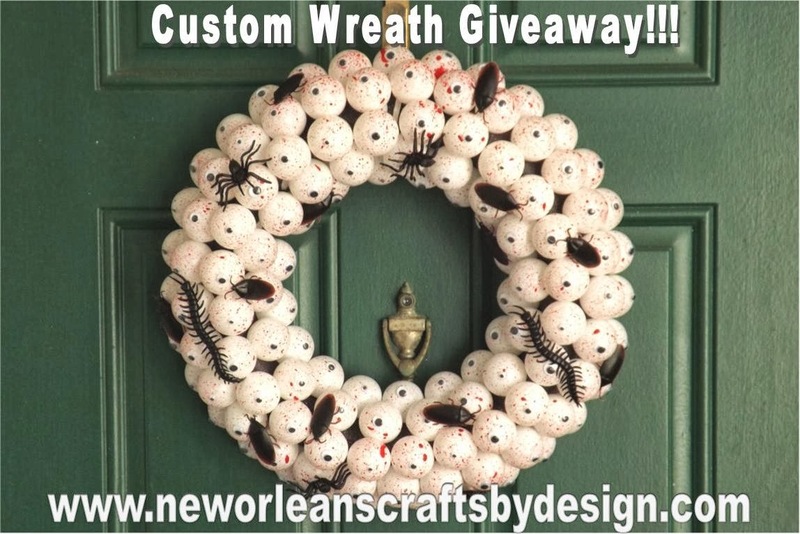 New Orleans Crafts by Design: Custom Wreath Giveaway!!!! It has been a while since I have run a wreath giveaway and figured this would be the perfect time. The Giveaway will run from Friday, October 04, 2013 until Sunday, October 20, 2013 at 11:59 p.m. CST. I will contact the winner via the email address provided in the submission form. The winner will be announced shortly thereafter. If you have any questions please feel free to contact me using the Contact Form on the left side of the page. Please feel free to share, pin, tweet, post, etc any of my photos to help me get the word out. Other than that, Good Luck!!!! !